On September 27th, Bernadette will be at the 23rd Annual Broadway Flea Market Autograph Table during the 2:00 hour. For $25 you can get her autograph (along with 14 other celebrities) and for an extra fee, have a picture made with her. 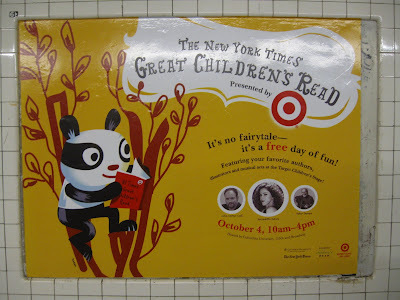 On October 4th, Bernadette will read her book, Broadway Barks, at The New York Times' Great Children's Read. 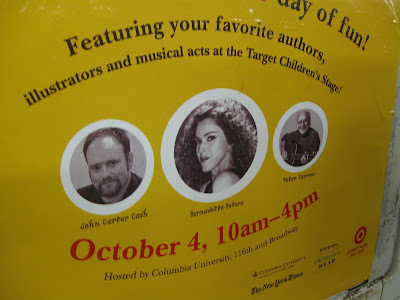 Hosted at Columbia University, Bernadette will be on the Target Stage at 3:45 at Broadway & 116th Street. And the pièce de résistance, on November 9th, Bernadette is back on Broadway singing a special concert benefitting Broadway Barks and Broadway Cares/Equity Fights Aids. The Musical Director/Conductor is Marvin Laird and the concert, at the Minskoff Theatre, is directed by Richard Jay-Alexander and will included a 30-piece orchestra. General reserved ticket prices are $75 (rear mezzanine) or $110 (front mezzanine or rear orchestra). Special patron tickets begin at $295 each.